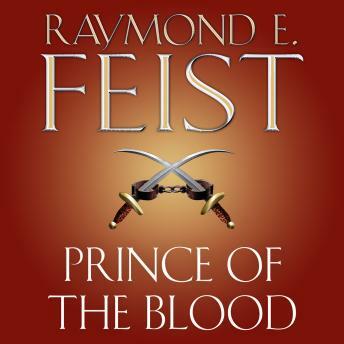 Set twenty years after the events of the Riftwar, Prince of the Blood follows the adventures of Prince Arutha's sons in the dangerously unstable Great Empire of Kesh. Twenty years have passed since the end of the Riftwar. Prince Borric conDoin and his twin brother Erland have been summoned back to their father's court in Krondor. Prince Arutha has decided he needs to tame his spirited progeny and teach them statecraft and responsibility. Shortly after they arrive home, therefore, he orders them to Kesh, to represent the Isles at the Empress' seventy-fifth jubilee. But before the new ambassadors depart, they are attacked. Despite the dangers, Borric and Erland's mission continues, it being vital to sustaining the fragile peace between the two nations. But the brothers have little idea of the exotic world of Kesh, the strange players at this alien court, nor the hidden forces intent upon tearing the empire apart.